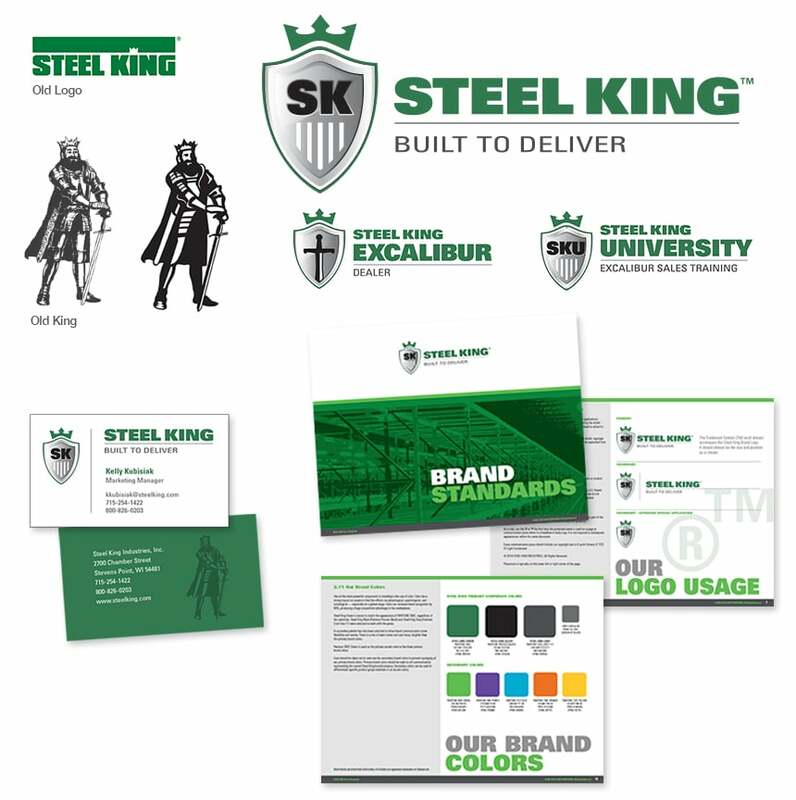 Steel King, a leading supplier in the material handling industry, required a brand refresh to better reflect its high-quality product reputation. 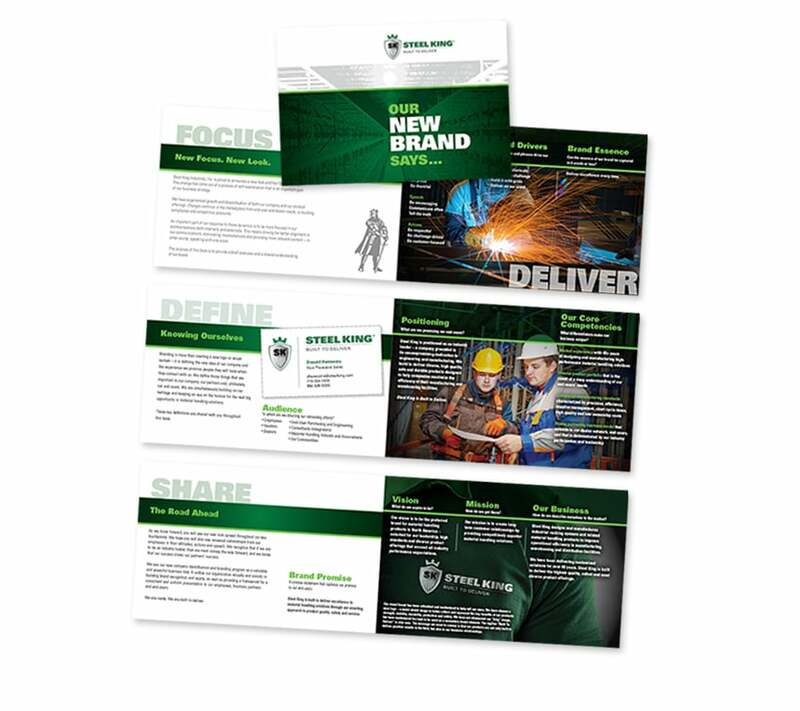 Steel King, a leading supplier in the material handling industry, required a brand refresh to better reflect its high-quality product reputation. A brand book was created to effectively deliver the brand message to employees, vendors, channel partners and customers. 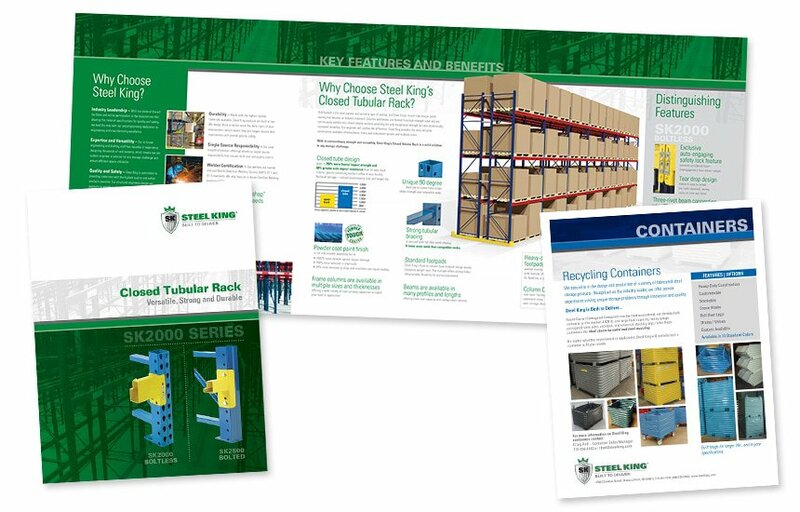 Steel King, a leading supplier in the material handling industry, requested updated brochures to help their channel partners sell the value of their products to end-users. 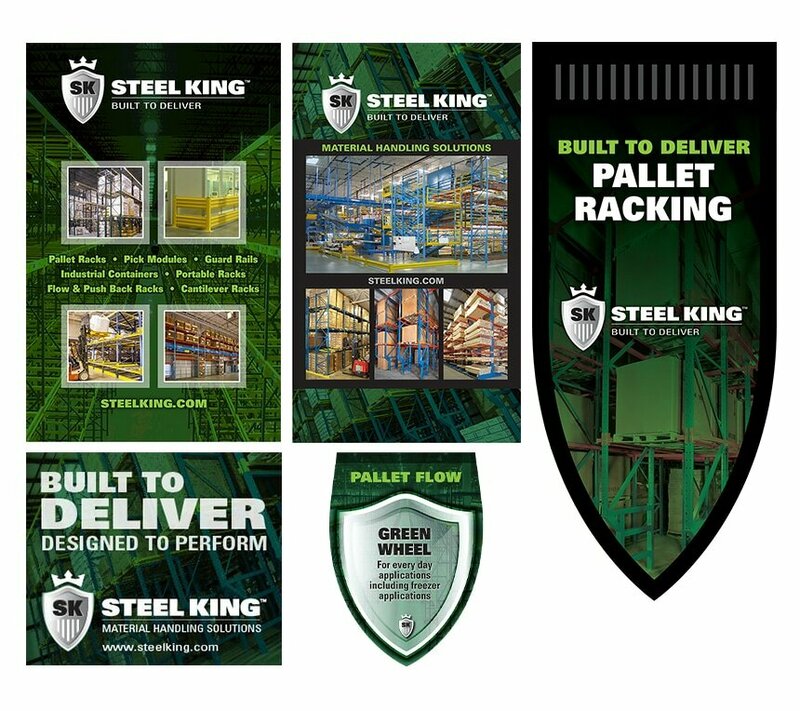 Steel King, a leading supplier in the material handling industry, held a contest among their top dealers, incentivizing them to sell featured products leading up to a major industry trade show. 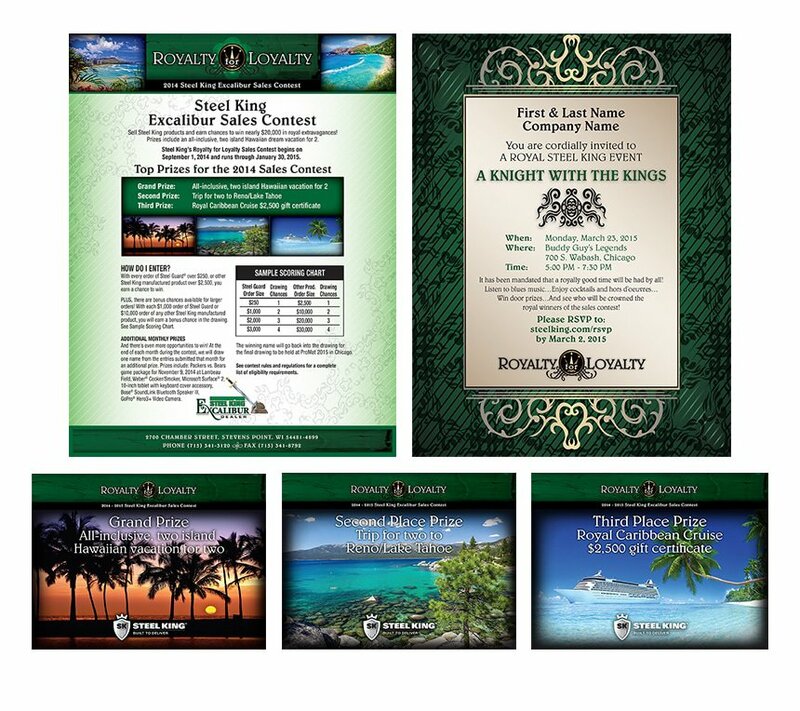 They needed help with the campaign elements that included monthly emails, and event signage and support. 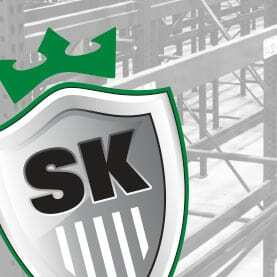 Steel King, a leading supplier in the material handling industry, required custom signage for their trade show booth. The booth was constructed from their industrial racking and highlighted a number of their product choices.